So, in 1989, readers were introduced to Marcus Didius Falco, the Roman informer, as he stood on the steps of the Temple of Saturn, looking out across the Forum: the heart of his world. Twenty years and twenty books later, Falco fans want a companion volume. Only here will you learn the author’s private background, including her descent from a failed assassin and how atheism improved her knitting. Here too are the real glories and heartache involved in research and creation: why the baby had to be born on Barcelona, which plots evolved from intense loathing of management trainees, what part was played in the iconic Falco’s conception by a thermal vest. 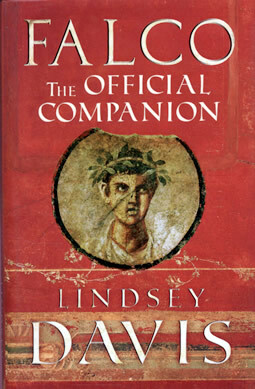 It can’t be a complete handbook to ancient Rome, but it covers perennial issues. There are a hundred illustrations, some specially commissioned, others from family archives. Enlightening quotations come from the Falco books and from eminent sources: Juvenal, through Candler, to 1066 and All That.